Slather on sunscreen because we're scooting off on our bikes! We're approaching the end of our semester and the ISA would like to invite you to enjoy the outdoors together and explore the beautiful scene of Hong Kong. With spring around the corner it's definitely the best time to take a break from your studies and cycle along the coastline of Tai Mei Tuk (大美督) with mountainous scene and paddle through the calm waters of the northern sho⋯⋯re. Lunch provided, Kayaking is optional! ⚠️Please settle the payment to the following ISA committee members by WhatsApp as soon as possible, before 6 April 2017 (Friday) in order to reserve your place. 🔍For more information please remember to follow our Facebook page and Instagram!!! Hey guys! The 8th Executive Committee would cordially like to present to you our first event of 2017. With Chinese New Year quickly approaching, we bring you an opportunity to celebrate the upcoming holidays, through a cultural food-making workshop. 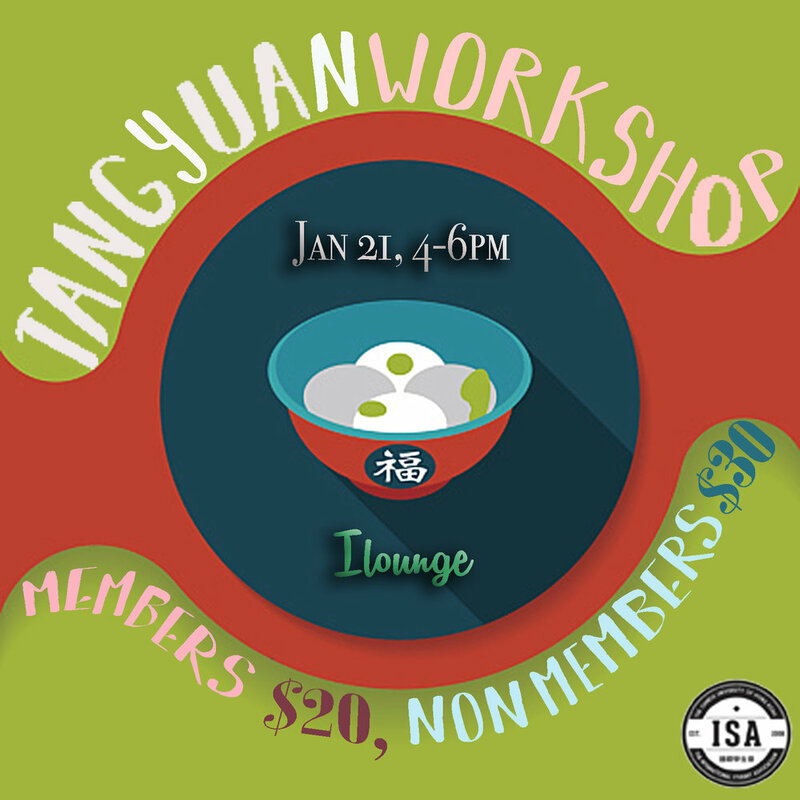 Learn how to make traditional Chinese Tangyuan, through the first ever Tangyuan Workshop brought to you by the ISA. Eat, share, and enjoy the early festive atmosphere! We hope you can join us!